Thank you for using King of the House, Inc. for your home inspection. I know your home inspection is very important to you. And your business is very important to me. If I can help in anyway after the inspection, please call or Email me at the Email address or telephone number provided on this report. And, if you are happy with King of the House, Inc. please refer my company to your friends, your realtor and anyone you believe could benefit from my services. King of the House, Inc. not only performs inspections for purchasers, but also for people planning to sell a home who wish to estimate the amount of work that needs to be completed before listing the house. A home inspection is a visual, and not an exhaustive or invasive, inspection of a home by a trained and impartial inspector. 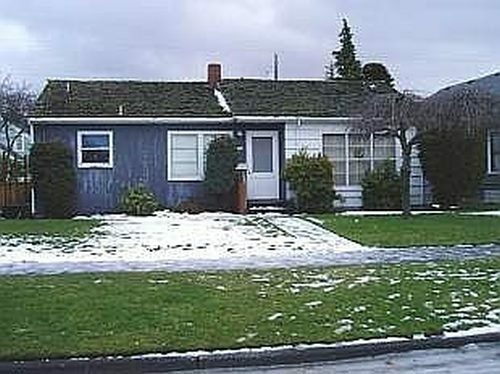 Your King of the House inspection adheres to the standards of the practice of the state of Washington. Steven L. Smith is the lead instructor for the state approved Fundamentals ofl Home Inspection Training Program taught by Bellingham Technical College, an accredited state college. Smith has, also, been appointed by the Governor to serve on the Washington State Home Inspector Licensing Board. This report includes an inspection for wood destroying organisms (WDO'S). More detailed information on this topic, and a suggestion as to how to more effectively use Form 17, the Real Property Transfer Disclosure Statement, is provided under general information. By law the State of Washington mandates that I inspect for, and report on, WDO infestations or conditions that are conducive to attracting WDO's. Every King of the House, Inc. report includes photos and descriptions detailing the locations of areas of concern as noted by the inspector. Despite the photos and specific information provided, if during this inspection wood destroying organisms or conditions conducive to wood destroying organisms were found, I want you to know: WAC 16-228-2045 REQUIRES THAT A DIAGRAM BE PREPARED FOR WDO INSPECTION REPORTS. A COPY IS AVAILABLE UPON REQUEST. SUMMARY: NEAR THE TOP OF THE REPORT, LEFT CORNER, CLICK ON "VIEW SUMMARY". THIS SUMMARY WILL IDENTIFY THE MOST SIGNIFICANT ONSITE ISSUES. Inspection overview: This is a visual inspection performed to meet with the Washington Standards of Practice and applicable state guidelines. Limitations and exclusions are described in the inspection contract and the written report. Issues, concerns or recommendations have been referenced in appropriate sections of the report. *Clickable hyperlinks make it possible for clients to navigate to photos, videos and additional information. *Clickable links are operational if a report is accessed from an "online" computer: Lesser operating systems in Smartphones may not support full functionality. If reports are saved and viewed in PDF format, access to hyperlinks will be restricted as a result of limitations in Adobe software. 2) Professional qualifications of workers: In most reports, I recommend that upgrades or repair work be performed by a "qualified person" or "qualified parties". I consider qualified parties, in the licensed trades and professions, to be those individuals who hold the necessary state or local licenses or permits to legally work in their field -- licensed electricians, licensed pest control applicators, licensed plumbers, licensed HVAC technicians, licensed engineers, licensed general contractors, licensed building architects, licensed landscape architects, etc. In instances where repair work may be legally done by an unlicensed party, it is my recommendation that the repair person be, based on past training, experience or expertise, "qualified" to complete the job at hand and to, at that time, also be capable of further evaluating the situation and making further recommendations and completing any related repairs or upgrades. Any work performed by licensed and/or qualified parties should include, as applicable, obtaining necessary permits from the state, the county or the city. 3) Form 17/Limitations: Form 17 is a required disclosure statement at all real estate transactions conducted in the State of Washington. King of the House, Inc. encourages you to read Form 17, as it is frequently not provided to the home inspector. This crucial disclosure consists of about eighty questions pertaining to the home. By law, a seller is required to disclose on this form many details about the home and property, which may or may not be observable at the time of inspection. 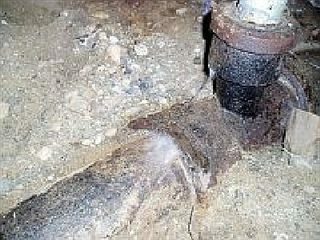 For example, the seller's disclosure could reveal hidden but known defects in materials or products used in construction of the home; well or water supply problems; known health or environmental concerns such as mold, underground fuel storage tanks, chemical pollutants, or a history of seasonal water, flooding, pest infestations or fire damage, etc. 4) Wood Destroying Organisms: This report will conform to the standards of practice for home inspection. Evidence of wood destroying insects, or related activity, was seen on-site, therefore, the report will, also, conform to Washington State Department of Agriculture (WSDA) rules, which regulate structural pest inspections. This is a complete wood destroying organism (WDO) inspection -- a good faith effort on the part of the inspector to report visual signs of wood decay fungi and wood destroying insects. "Conducive conditions", deficiencies that the State of Washington has defined, can contribute to the likelihood of WDO infestations on the premises and will also be reported. When conducive conditions are noted, I recommend correcting any such problems. The WSDA inspection control number, assigned to this inspection, is at the top of the report. 5) Furnished home/general limitations: This home is furnished; therefore, numerous counter, under sink, closet, window, wall, floor, and/or ceiling surfaces were obscured by personal effects, window coverings, rugs, carpets, collectibles, furniture and other items, limiting the inspection of some areas. Appliances and furniture are not moved. Belongings stored on window sills are not moved to operate windows. Significant storage or personal items, under sinks and cabinets, will not be moved to gain access. Insulation, when present in crawl space and attic areas, obstructs visibility. In general, areas that are blocked or not readily visible or accessible because of belongings, storage or objects are excluded from the inspection. A representative number of structural components are viewed, not every area. The high exterior locations at the home such as siding, trim or soffit areas below eaves, due to safety and typical access issues, may be viewed from the ground and not from a ladder. 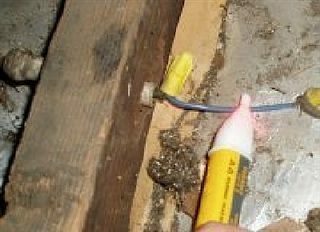 High electrical receptacles, under eaves, may not be evaluated. 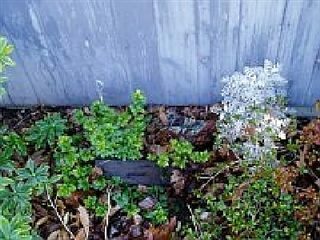 10) Soil is against siding and/or trim at the front of the house. 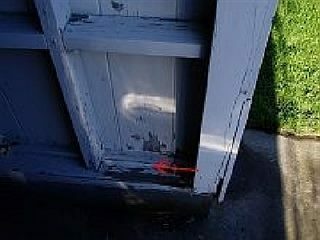 This has been defined by the State of Washington as a conducive condition since soil against wood or any structure, except for the concrete foundation, is likely to lead to wood rot. I recommend removing soil from contact with structure and grading earth at a slope ratio of 1" per foot, for at least 6 feet out from the building, so water is directed away from the structure. It is not always attainable but 6" of clearance from earth is recommended at wood siding/trim. 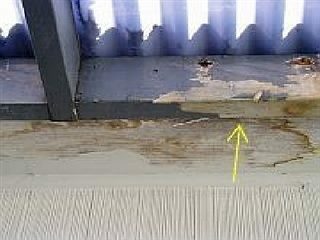 When work commences, if decay is found to be present, repair-replace materials. Any work to be completed by qualified party. 12) The cracks and height variations in the flat surface concrete (driveway, sidewalk) are cosmetic in nature and not tripping hazards at this time. 19) When it is possible to do so, safely and without damage to roofing materials or components, a home inspector will traverse the roof. The roof was wet, obviously slippery and wood decay was present. Therefore, this roof was not traversed because, in the inspector's opinion, trying to do so would be hazardous to the health and safety of the inspector. This is a necessary limitation to the inspection. 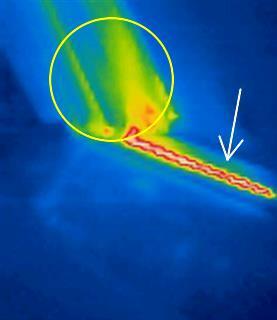 21) Insulation in the attic is approximately R-12 which is minimal by current standards. 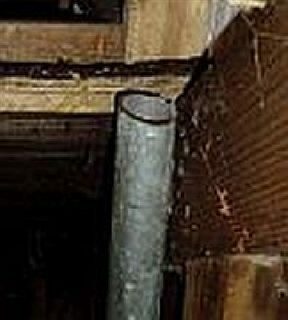 Today an attic, typically, is insulated to R-38 to R-49. I recommend, after roof has been replaced, that client consider installing additional insulation for better energy efficiency. 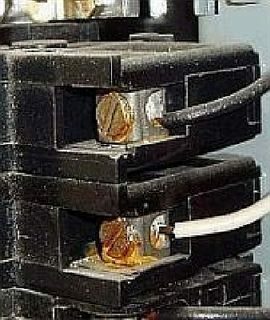 27) While they were not standard when the home was built, client should consider an upgrade to "Arc fault" or AFCI breakers for the bedroom circuits. These devices, which would be installed in the electrical panel, are not costly and reduce the risk of a fire by protecting against overheating or arcing of receptacles (outlets) or light fixtures in bedrooms. Electrical work be done by a qualified party such as a licensed electrician. 28) I operated or tested a representative number of wall switches and receptacles. No defects noted. The inspector operates or checks a number of switches and receptacles but there is not a detailed analysis of the performance of three-way switches or switched receptacles. 31) The gas supply to the hot water heater is "hard" piped in. 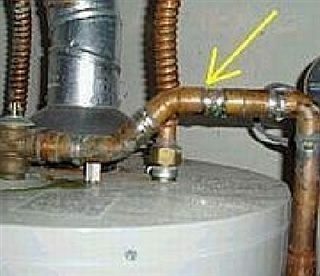 In the event of seismic activity, it is better to have an approved flex connector between the tank and the gas piping. That, typically uncomplicated, modification makes it less likely that the pipe will break loose from the tank if the tank is jostled during an earthquake. I recommend repair, work to be completed by an HVAC professional or a plumber. 32) The estimated useful life for water heaters is 8 to 12 years. This water heater is ten years of age so it is nearing the end of its design life. 43) Laundry appliances, and accompanying faucets and connections behind the appliances, are not part of a standard home inspection and the devices are not routinely operated, nor are they moved, during the course of a home inspection. They are excluded from the inspection. Often laundry appliances are not part of a real estate sale and, regardless, running either a washer or a dryer through a single cycle does not reliably establish functionality. Function of the appliances is excluded, however, a brief description of the appliances and/or laundry facility is provided here. Both the washing machine and the dryer are Kenmore brand, the dryer is 240V electric. Appliances are located in the kitchen. 48) Wood scraps have been discarded in the crawl space. To avoid attracting wood destroying organisms, I recommend removing and disposing of all non-structural cellulose materials including cardboard. 49) Crawl space vent screen(s) are blocked by underfloor insulation. To establish cross-ventilation, I recommend pulling back the insulation so the vents are all open. 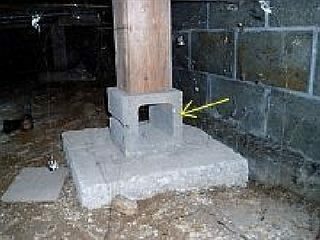 50) The fiberglass batt insulation under the floor in the crawl space blocks the inspector's view of many areas. That is a limitation to the inspection. 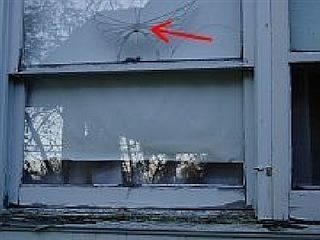 56) Bathroom is lacking an exhaust fan and the window is "fixed" -- does not open. I recommend installation of an exhaust fan, so steam and humidity from baths will be vented to the outdoors: Job to be completed by qualified contractor. 57) The Broan exhaust fan in the kitchen was operable when tested. The unit/motor requires cleaning. I recommend cleaning, carrying out appropriate maintenance and repairs, with work to be completed by qualified party. All small household exhaust fans require periodic maintenance -- cleaning, oiling of motors or eventual replacement. 58) There was wear, a tear in the carpet in the living room. I recommend repair or replacement, work to be completed by qualified party. 59) The range is electric, Maytag brand. It was inspected. All burners operated, as did the broiler and oven (elements as applicable). It is small, an apartment sized unit. 60) The refrigerator/freezer is Amana brand. It was operational at the time of inspection, no defects were noted. 61) Toilet(s): There was one toilet inspected. No defects were noted. Moisture readings around toilet, read with a pinless meter, were normal range. This is an indication that there is not a leak at the wax ring and the flange. 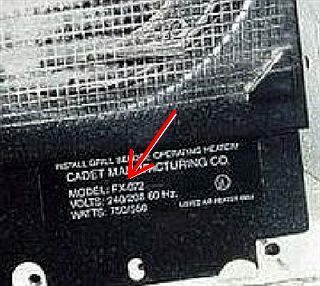 62) The microwave oven was portable, not built-in, and it was not inspected. 63) Inspector has viewed walls, ceilings, doors, carpets, floors, cupboards, countertops, cabinets, closets, sinks, tubs, etc. Normally a home will show signs of past use so, unless specifically noted, the features appear to be typical. Some areas may be obscured by belongings, furniture, drapes, wall hangings or other storage. 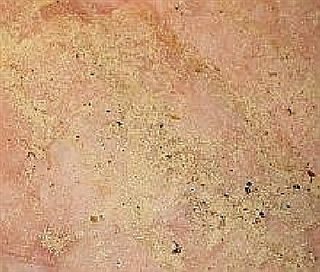 A home inspector is looking for significant issues and it is not the focus of the report to comment extensively on cosmetic matters (nail-pops, scuffs, blemishes, sliding drawers, etc), normal wear, minor mechanical wear or damage. Since the design and appearance of interior decor is important to a buyer and largely a matter of personal taste, I recommend that buyer ascertain prior to closing that the interior -- floor coverings, cabinets, cupboards, etc -- meet with personal expectations. 64) A dishwasher was not present on the premises. 1. Clean any removable dishwasher filters. 2. Purge food disposal by filling the kitchen sink with clean water, then turn on the device until the water drains through. 3. Wash refrigerator/freezer interior walls and door gaskets with a solution of one quart of warm water to two tablespoons of baking soda and wipe dry. 4. Vacuum and clean "return" air ducts/grills. 5. Inspect lighting fixtures and replace any burned-out bulbs. 6. 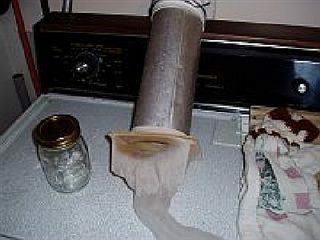 Clean clothes dryer lint trap and/or duct for better energy efficiency and to decrease the risk of fire. 1. Inspect and service doors by cleaning and lubricating latches, hinges or replacing weatherstrippings as might be required. 2. Inspect and repair, if necessary, exterior caulking and finish around windows, doors, and siding. 3. Replace/clean, at least quarterly, furnace, heating and cooling system filters. 4. Re-tighten knobs and pulls on cabinets. Clean and lubricate drawer tracks and guides. 1. Inspect and test smoke and carbon monoxide alarms. Replace backup batteries as might be required. 2. Test (GFCI) ground fault circuit interrupters and (AFCI) arc fault breakers. 3. Inspect and maintain/clean gutters and downspouts. Runoff water must be directed away from the home. 4. Inspect attics and substructure areas for rodent droppings or other signs of pests or leaks/standing water, etc. 5. Prior to the beginning of the rainy season, test sump pumps for adequacy and function. 6. 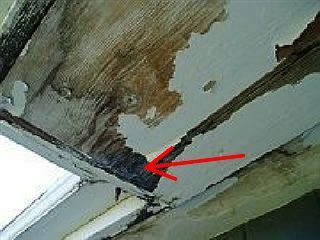 Look for moisture or decay, outside and inside the house, where flat surface decks and landings attach to the home. This is especially important if the landings do not have proper flashings. 7. Clean range hood fan grills and housings. 8. 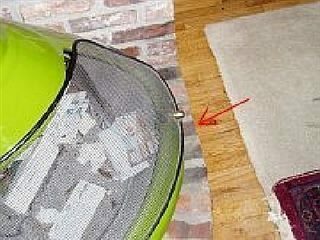 Use a vacuum cleaner to remove dust on coils behind the refrigerator/freezer. 1. Licensed contractor to inspect and service heating and air conditioning systems. 2. Professional contractor to inspect and service wood burning appliances and chimneys. 3. Seal any foundation cracks. 4. Inspect, clean and lubricate garage vehicle door tracks and test auto-reverse functions. 5. Clean and lubricate sliding glass door and window tracks. 6. Inspect exterior paint for cracking and wear. Repaint, caulk and seal as needed. 7. Reseal, as required, wood decks and landings. 8. 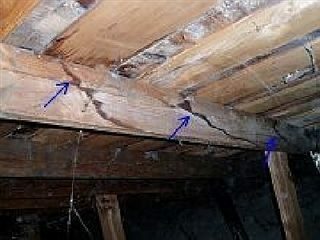 Inspect, for water damage, pests or rot, any substructure and attic areas. 9. Inspect roof flashings, chimney caps, shingles. 10. Inspect outside electrical service lines for damage, exposed wires or proximity to tree limbs. 11. Inspect all supply hoses at sinks, toilets and washing machines. 12. Clean and repair caulking or grout in bathrooms or kitchens. 13. Clean bathroom exhaust fan blades and grills. 14. Inspect all electric cords and replace as needed. 15. Change water filters and have fresh water systems professionally serviced. 1. Pour a pot of hot water down the drain once a week to help clear away fat or grease that may have built-up in the drain line or the P-trap. 2. If a drain is clogged, try pouring 1/2 cup of baking soda and 1/2 cup of white vinegar down the drain. Cover the drain and let the mixture sit for a few minutes. Then pour a pot of water down the drain. 1. Emergency contact telephone numbers. 2. Fire extinguishers and water hose pipes. 3. Heating gas/fuel main shutoff valve. 4. Main electrical disconnect circuit breaker(breaker box/service panel). 5. Main drain line clean-out. 6. Main water shut-off valve. 7. All window and door exits.